Liverpool and South West Sydney commuters can expect significant increases in travel times as a result of the Sydenham to Bankstown Metro. 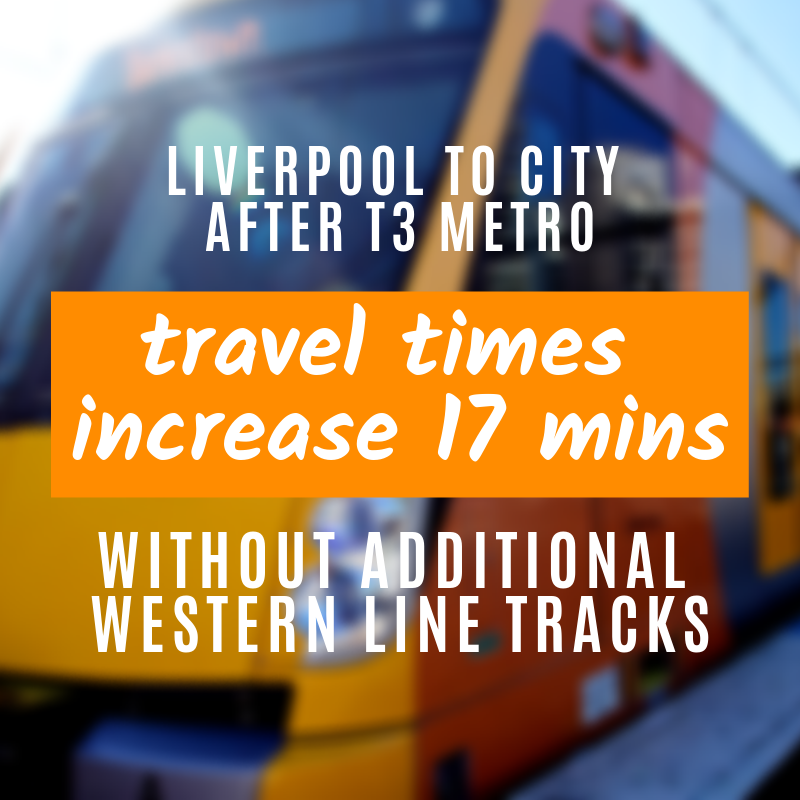 Government documents obtained by the Restore Inner West Line community action group contain estimations of journey times from Liverpool to City increasing by 17 minutes. 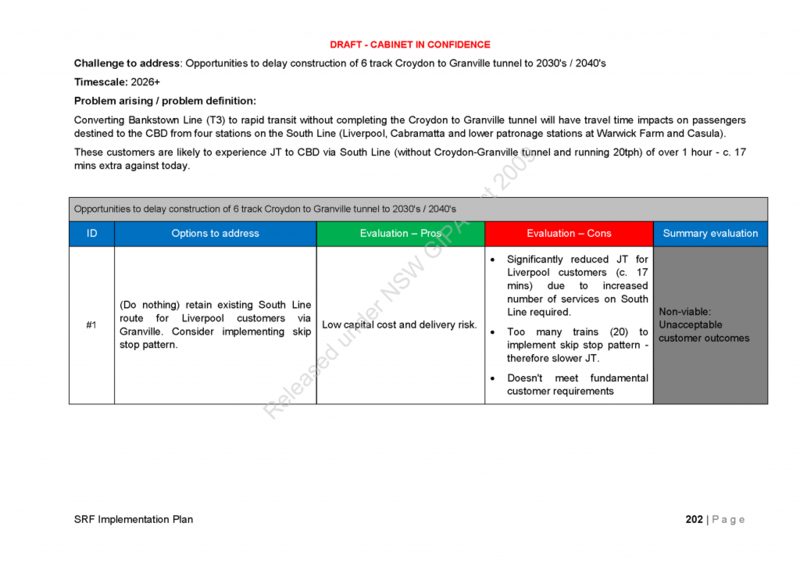 The government’s own ‘Sydney’s Rail Future Implementation Plan’ suggest a remedy to the increased travel times for Liverpool, Cabramatta, Warwick Farm and Casula commuters with the construction of additional tracks of the Western Line. 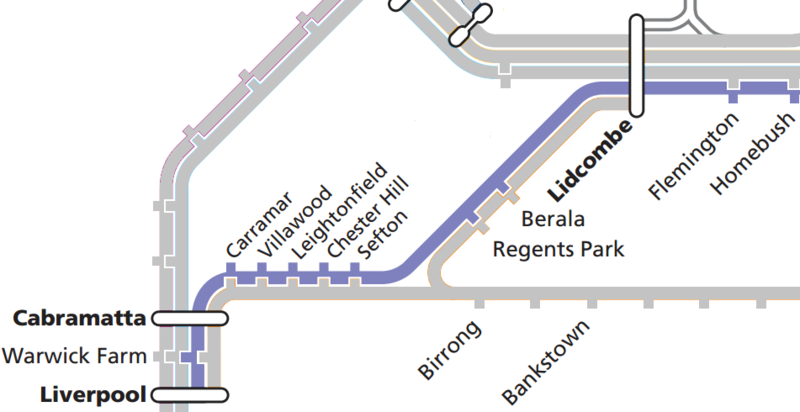 However plans to upgrade the Western Line with a tunnel from Croydon to Granville were abandoned in 2013 with the WestConnex M4 tolls given priority over the railways. Transport for NSW has confirmed that there will be no upgrades to the existing Western Line in the near future, with the possibility of additional tracks being deferred until 2040. 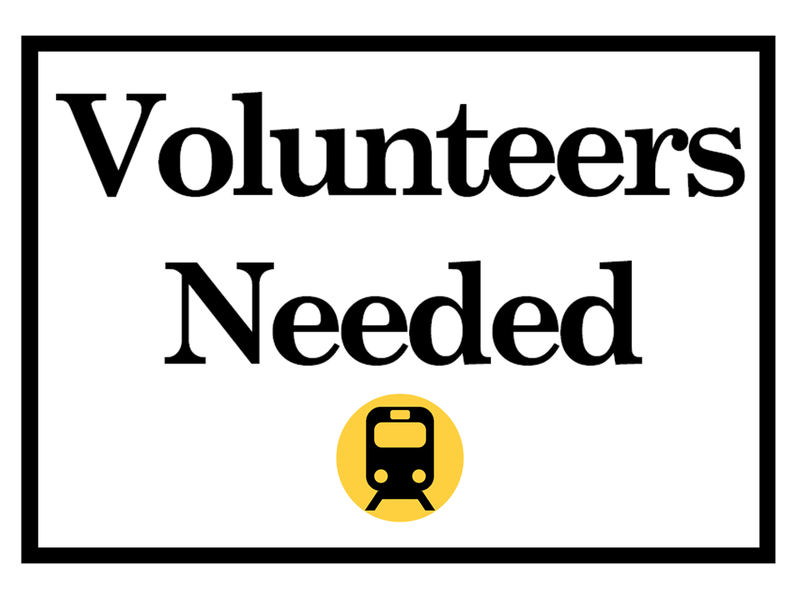 Commuters from Sydney’s South West can expect significantly increased travel times and increased interchanges for journeys to the City Circle, with the T3 Sydenham to Bankstown Metro removing direct trains for stations west of Bankstown.